Christmas is no doubt a time for friends, families, and, of course, movies!! Elf, Christmas with the Kranks, A Christmas Story, It's a Wonderful Life, and Home Alone are all classics! 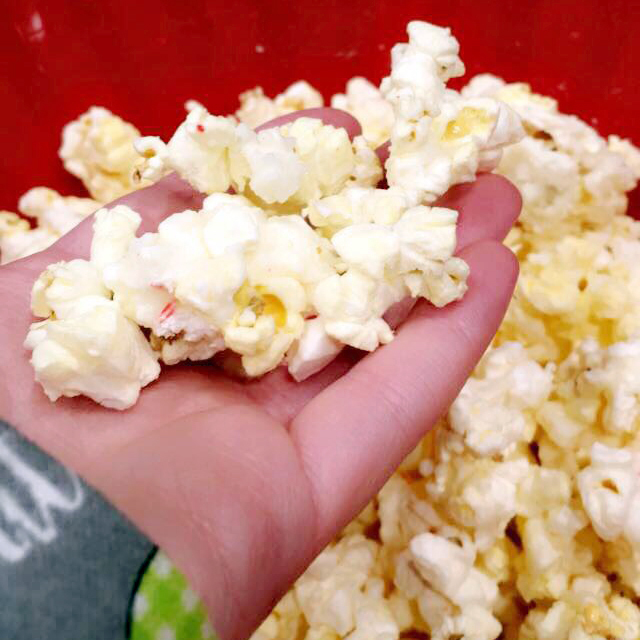 And what's the movie experience without popcorn? 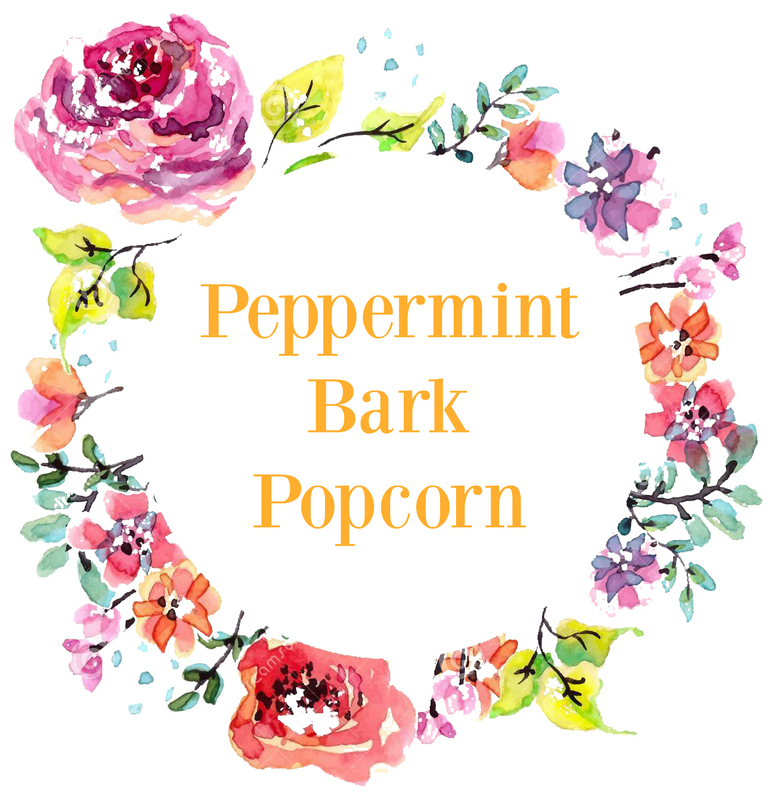 To get in the Holiday spirit while I watched a classic Christmas movie I made delicious peppermint bark popcorn, which was so easy to make! It came out so well I thought I would share with y'all! 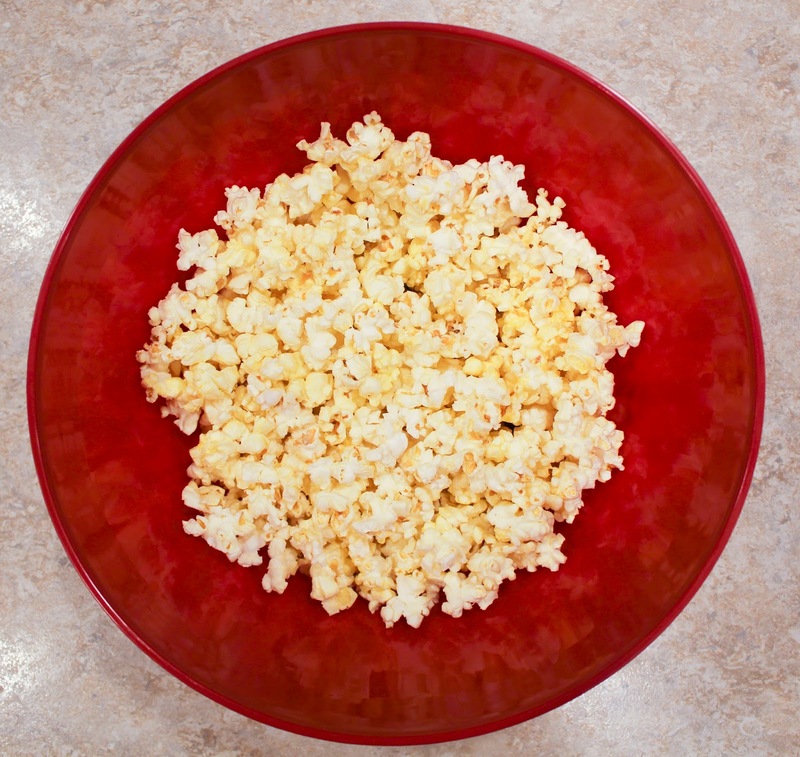 First, pop your popcorn according to the directions on the package. (no one likes burnt popcorn). Next, use about a cup of white chocolate chips and melt them. I used the microwave to melt mine, but a pot on the stove may work best. 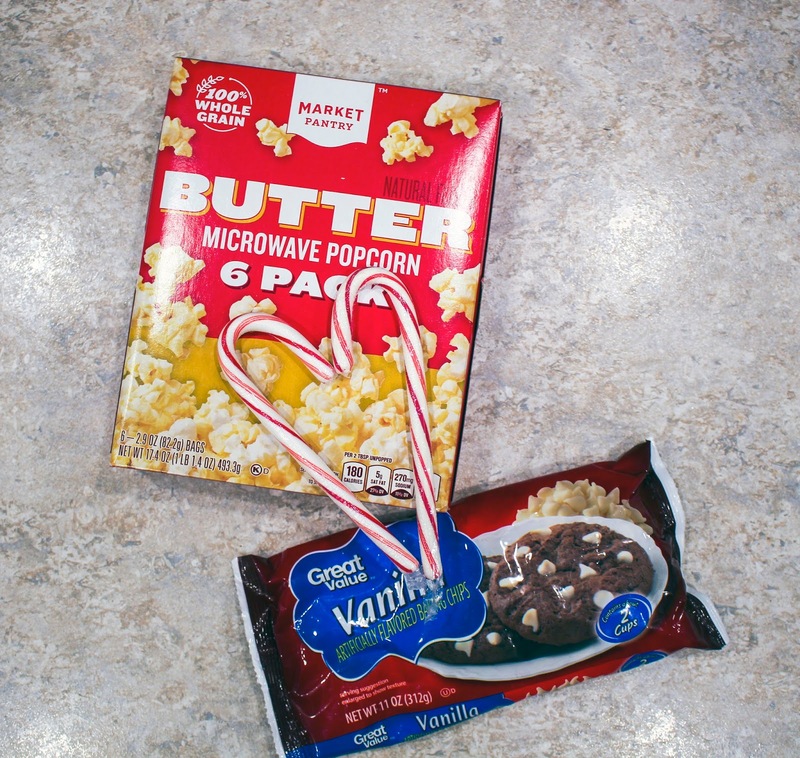 Once heated, add the melted chocolate to your popcorn. Finally, put your candy canes into a zip lock bag. Then you a spoon to crush the candy canes until they are bite sized. 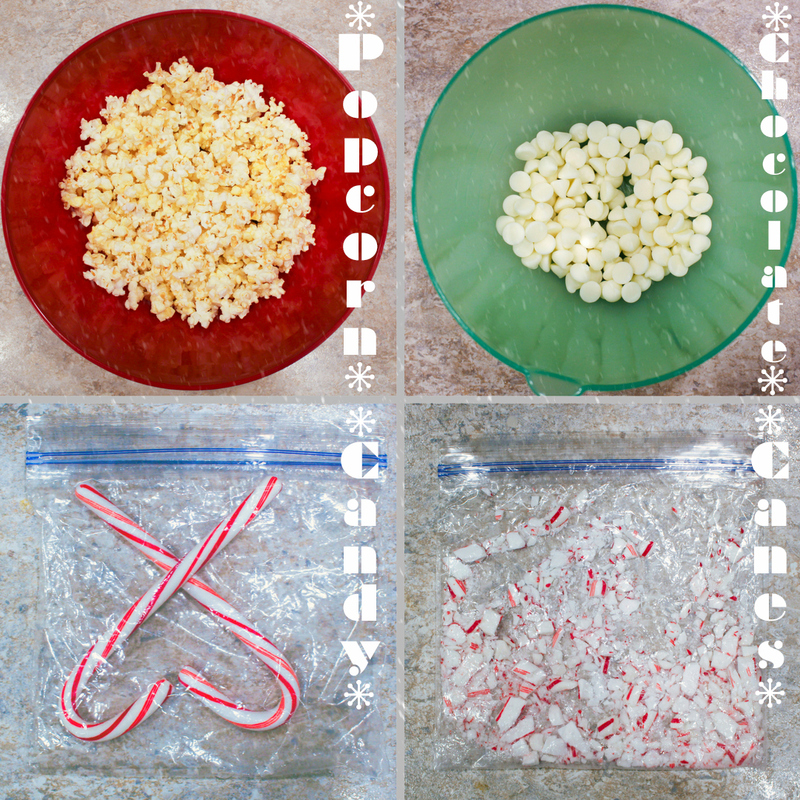 Once at desired texture, add the candy canes to the popcorn. 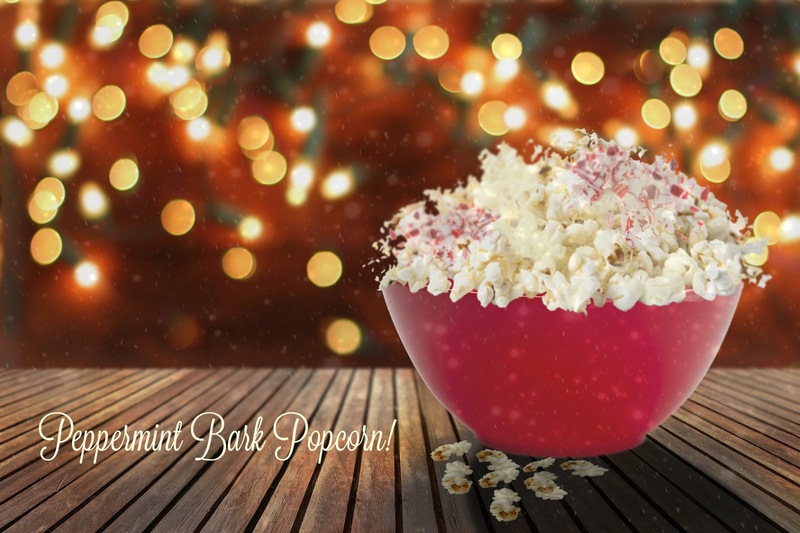 Now you can watch your favorite movie eating popcorn that has a holiday twist! I hope it comes out delicious for you!